​Do you have an old or unneeded car, truck, boat or other vehicle sitting in your driveway, or taking up space in your garage? Consider donating it to Habitat for Humanity through Cars for Homes. 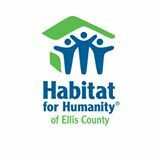 Not only will you be helping Habitat provide decent, affordable housing, you might be helping the environment as well. The vehicle does not need to be in working condition to be donated.